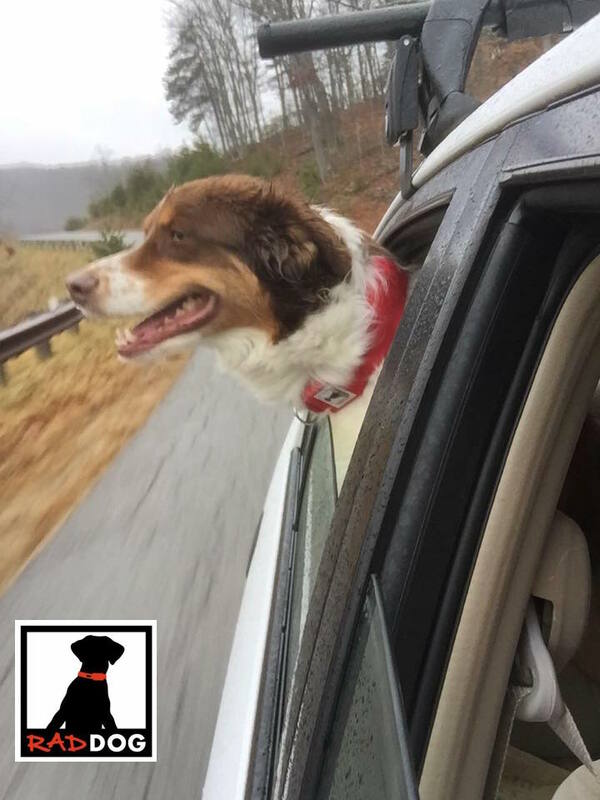 We've got a New Year's Resolution that we think is one RAD idea: travel more with our dogs this year! Our products are all about getting out without the fuss, which got us thinking, "How can we get out more often, see more places, and do more things with our dog?" The answer: take a look at some of the best travel adventures for dog owners and the canine companions. So, here is the list of dog-friendly hot-spots we'd like to check out this year! Where's your favorite dog spot? Tell us, so we can share with our fellow Rad Pack! What goes better than dogs, salt water, and sand? Pismo Beach is one of California's only dog-friendly beaches. You can spend the day playing frisbee in the sand with Fido, and enjoy the comforts of four pet-friendly hotels at night. Colorado is known for the dog-hospitality, and Colorado Springs is not exception. There are an unbelievable 51 dog-friendly hotels, dog-friendly restaurants and breweries, fantastic trails, and Bear Creek Dog Park which is a favorite watering hole amongst the four-leggers. Saint Petersburg is home to Ft. De Soto Paw Playground, THE ONLY part of the beach area reserved for dogs to run and have fun on a hot day. There are a variety of dog-friendly hotels to choose from, and a nice selection of restaurants with dog-friendly patios to dine on tapas with your Rad Pack by your side. Chicago is home to many pet boutiques, dog-friendly hotels, and dog-tolerant businesses, but perhaps the best kept secret in Chicago is the Montrose Dog Beach, where dogs can frolic amongst themselves in the water and off-leash. Maine is home to an absurd number of dog-friendly beaches, harbors, and watering holes. But maybe the most unique dog-friendly spot in Maine is aboard a real working mailboat! You and Rad Dogcan tour the islands of Casco Bay, including Little Diamond, Great Diamond, Long, Cliff, and Chebeague aboard a boat bringing mail and freight to the islands. You can tour around Boston via dog-friendly water taxi! Curl up at night in one of the many dog-friendly hotels downtown with no pet fee, then catch a treat at the dog-friendly "Blunch" restaurant. There is also Castle Island Beach which allows dogs on-leash during the off-season. Santa Fe has an astonishing 33 pet-friendly hotels, dog-friendly trails, and even a dog-friendly gallery (Andrew Smith). There is also a dog-friendly spa/resort and many dog-friendly restaurants like the Cowgirl BBQ which features a dog-friendly patio and nightly music. Charlotte has 67 pet friendly hotels, including Aloft Charlotte Uptown At the Epicentre, and a dog-friendly Whitewater Rafting Center. It is also home to The Dog Bar, located in the NoDa Arts District, the bar serves beer, wine and liquor and allows dogs of all sizes INSIDE or outside! Crystal Crane Hot Springs between Burns, Oregon and Crane, Oregon, have dog-friendly cabins, teepees, tent spaces, and RV accommodations. Enjoy a walk around the high desert wilderness during the day, and soak under the stars or in the private bathhouses in this dog-friendly, no-frills soaking experience. Rates start at just over $50/night. The German-inspired town of Leavenworth, Washington has four pet friendly hotels, including the Bavarian Ritz Hotel. The dog-friendly "Let's Go Tubing" adventure is popular amongst dog owners, and there are also a variety of dog-friendly trails and outdoor activities.